Hilary Scott is pleased to announce that she has signed with Lou DeMarco of Momentary Love Management. Lou’s music industry background includes working for a record label, and experience as a radio host, booking agent and host of many shows and concerts by well-known artists. She is very excited to be working with him. Hilary Scott At SXSW!!! Another venue added! 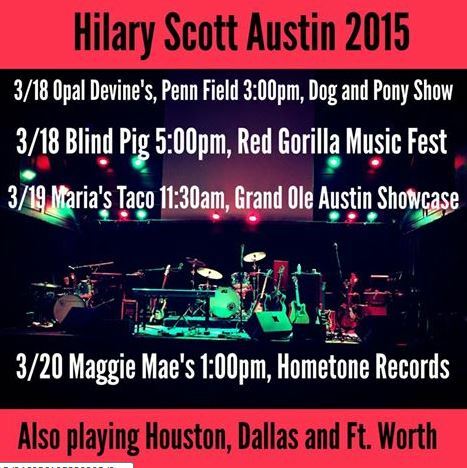 She will also be performing in Houston, Dallas and Ft. Worth! Check out our March touring dates. Hope to see you at a show!